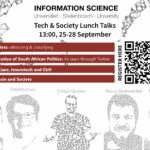 Build a carpooling application to help alleviate the problem of traffic congestion in the town of Stellenbosch. 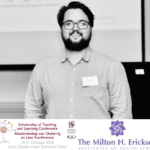 In teams of four, the students designed and developed five innovative ride-sharing applications aimed at encouraging and enabling the residents of Stellenbosch to carpool effectively. The students’ solutions were inventive and original, but a winning team had to be chosen. The winning team —Huddle— consisting of Stephanie Goode, Jacques Jordaan, Morakane Kepa, and Pieter-Dirk Strauss produced an application, enabling users to create geo-located trip requests, matching these requests to relevant drivers. 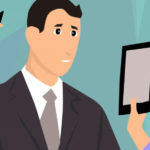 Additionally, their application includes chat, rating, commenting, and token-exchange features. Despite the challenging nature of the development project, valuable technical, organisational, and process lessons were learnt for all of the teams. We hope these will serve them well in their future careers. This year we were pleased to welcome GlueData, a leading data management, integration and consulting firm, as the title-sponsor for this project. 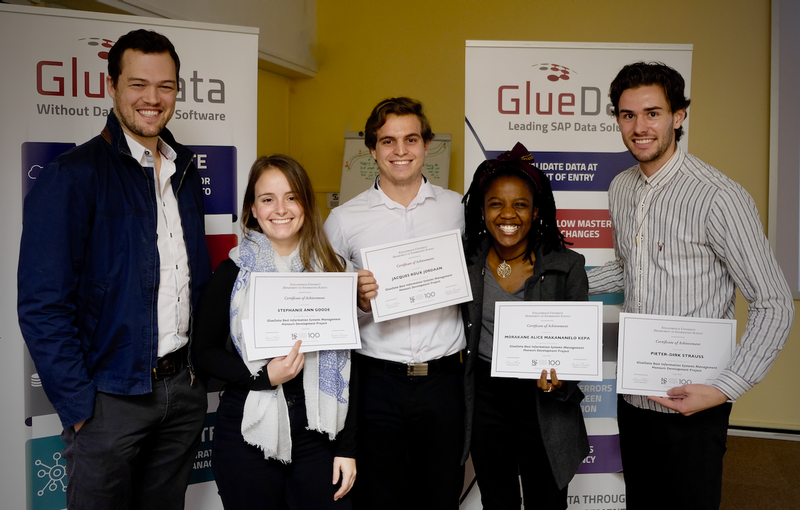 Pictured above with Ben Strydom from GlueData are the winning group displaying their GlueData Best Information Systems Management Honours Development Project certificates. The winning team walked away with a generous voucher-prize for which we have GlueData to thank.